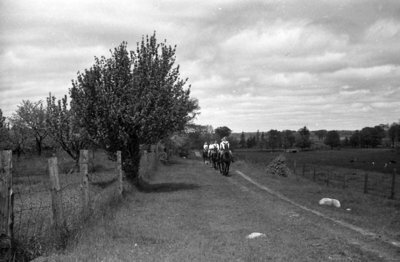 Black and white negative showing students at Ontario Ladies' College participating in riding exercises behind the school for May Day celebrations. Ontario Ladies' College Riding Exercises, May 1938, Marjorie Ruddy. Whitby Archives A2013_040_055A.